This week the new high-speed boat “BARCELONA FAST FERRY” has been launched. The “BARCELONA FAST FERRY” belongs to Dalmau Shipyard’s new line of vessels This model in particular is 14,6m length and 4,5m beam. In full capacity the boat can carry 48 passengers. It’s been equipped with 2 Volvo IPS engines that allow the Captain manage a better control of the ship. This model can be also offered with other engines depending on customer’s request. The ceiling of the boat, without any pillar in the ground, enables more configurations of the boat and a better view of the landscape to the passengers. Everything mentioned before makes it a very handy and versatile boat that fits in all kinds of activities. 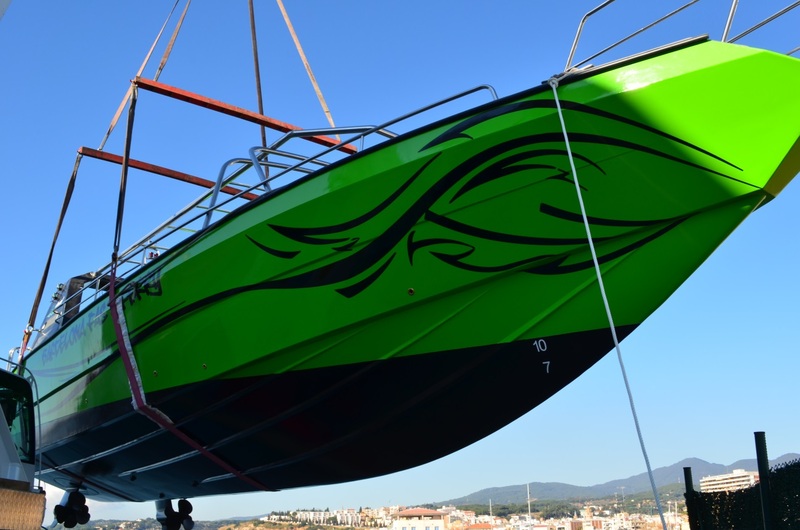 Now the boat is in its final step of construction and soon, the vessel will be working in Barcelona’s harbor.